Campaign group #saveourtown has urged Luton Town supporters to keep calm after it was announced yesterday that a new date has been requested by the club for the Newlands Park planning decision. The news comes after an historic decision on Wednesday saw permission granted for a new 17,500 stadium at Power Court. Town have asked for more time as they are currently searching for a new manager, while in the middle of the January transfer window too, as #saveourtown, who have been campaigning for the approval of both Newlands Park and Power Court, say there is nothing to be concerned about. Chairman Nigel Green said: “We’d like to urge Lutonians not to view this as a problem in terms of the strength of the Newlands Park application. It is not. It’s merely a resource issue. “It was clear that January would be a busy month when the two committee dates were announced last year because, in football terms, they fell within the busy transfer window period. 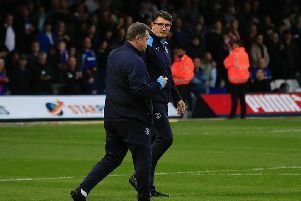 "Of course, in this time the club has also unexpectedly seen its manager depart, while it is on public record that CEO Gary Sweet has also had surgery. “It makes sense to defer the decision to a time when these football issues are not a concern. “We’d simply refer people to the comments made by councillors when approving the Power Court application. “We waited decades for the hope that Power Court has now given us, so it’s worth the wait for a few more weeks to get the job done, and done right.